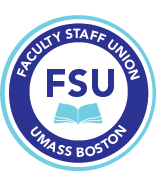 The Faculty Staff Union will be hosting orientations for non-tenure track faculty at UMass Boston. These provide a general introduction to the work of the union and your rights under the collective bargaining agreement. Non-tenure track faculty members of the union’s Executive Committee will be there to answer your questions. You’re about to retire after three decades at UMass Boston. How has UMB changed since you’ve been here? Welcome to the 8th issue of Union News. We’re covering some interesting and important stories: the Governor’s higher education budget and the recent Advocacy Day at the statehouse, the new 2:2 teaching schedule, proposed changes to retiree health insurance, the importance of the family leave policy for both tenure-track and non-tenure-track faculty, a teachers strike in Haiti, and more.